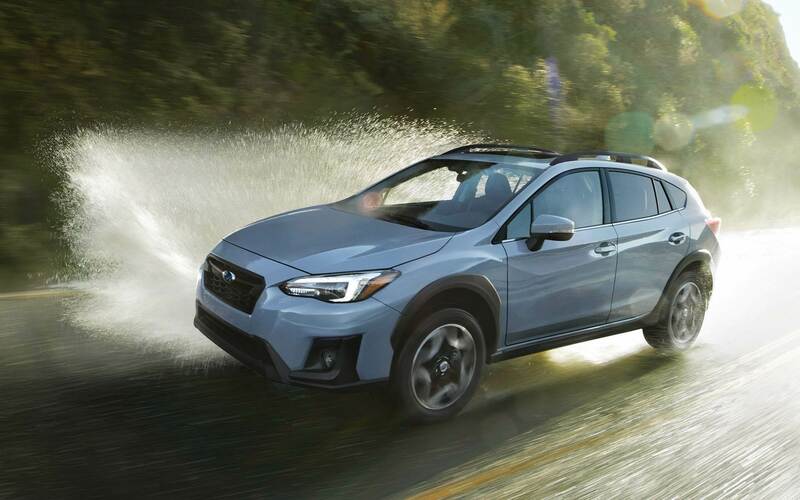 Let's explore the tantalizing 2018 Subaru WRX STI model, a Subaru favorite that has quite the stylish look about it. 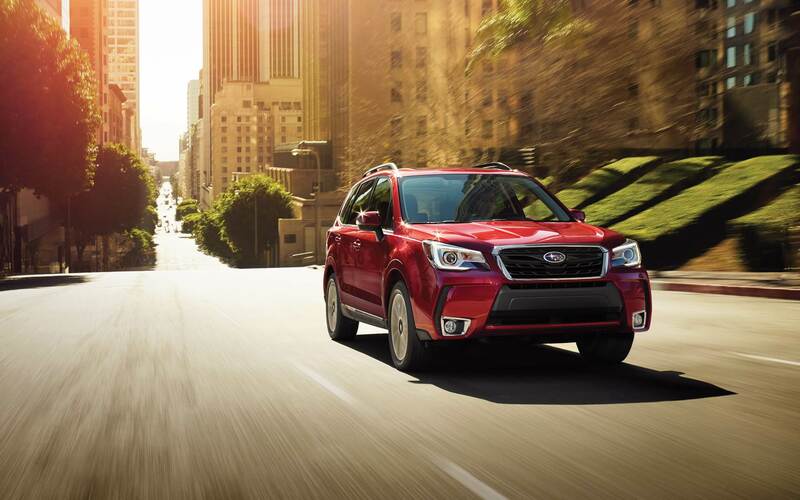 This dashing vehicle is rocketing into 2018 with all kinds of goodies, like a track-tuned suspension, symmetrical AWD with a Driver-Controlled Center Differential, the 305-hp turbocharged SUBARU BOXER engine, and revised six-piston Brembo brakes! It even has red seatbelts, a security system that monitors the hood as well, and symmetrical AWD! This a car you'll want to drive, that's for sure, and a contender for first in your top 10 cars list to test drive this year! 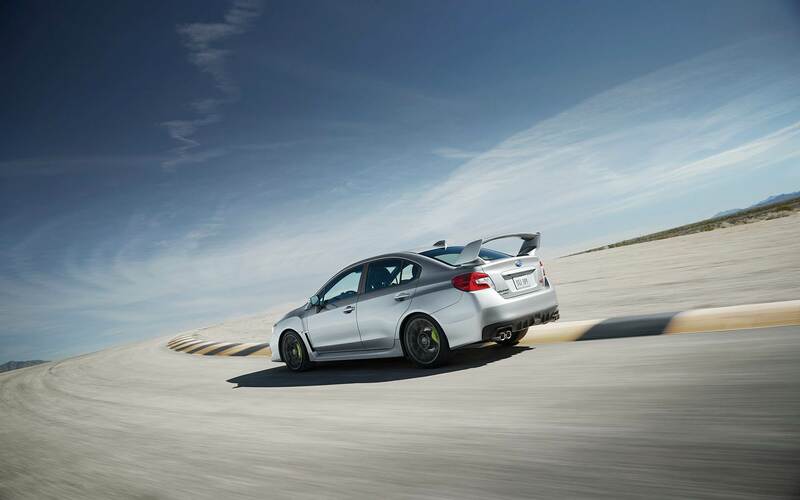 What powers the 2018 WRX STI and what assists it in handling? 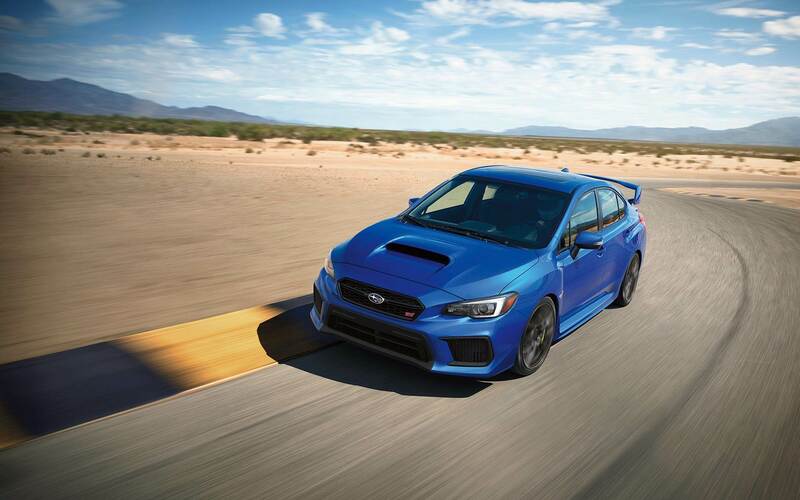 Exclusive to WRX STI is a 2.5-liter turbocharged BOXER engine manufactures 305 horsepower at 6,000 rpm and 290 lb-ft torque at 4,000 rpm! It has SI-DRIVE, which assists drivers with modes like Sport, Intelligent, and Sport Sharp. 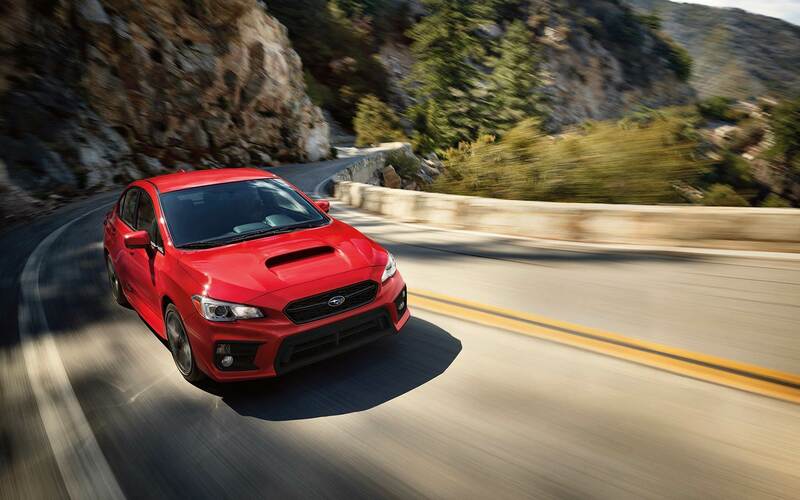 A 6-speed manual transmission is installed, there is an STI high-performance sport-tuned suspension, an air-scoop hood, 19" wheels, and a new electronic Multi-Mode Driver Controlled Center Differential (DCCD)! That last feature assists in cornering, stability, and handling by accessing the best differential control at the right times. Also, the front inside-to-the-turn wheel uses Active Torque Vectoring to further turn optimally. 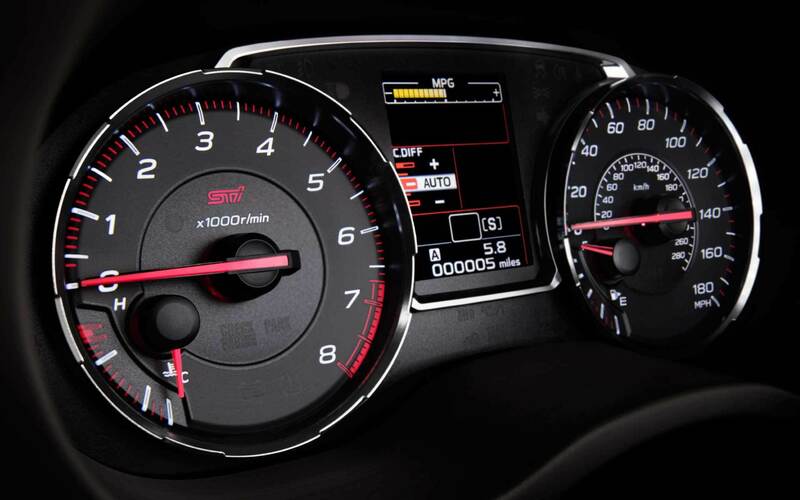 What are the basics of the features for the WRX STI? 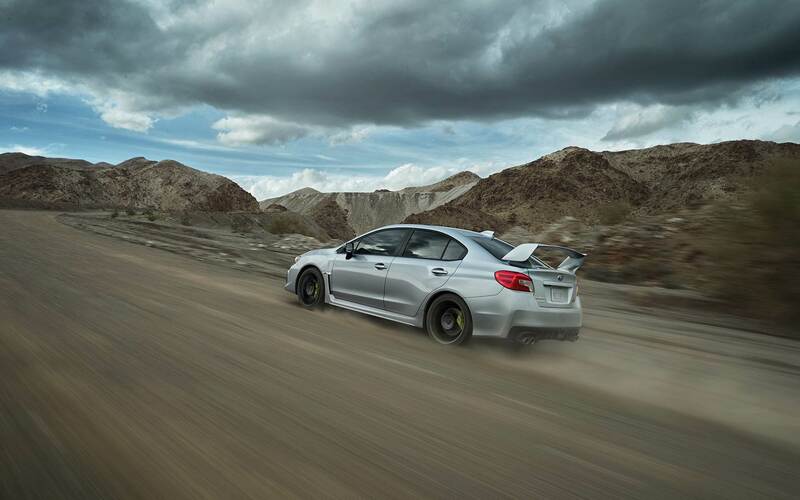 There are 2 models within the WRX STI roster, and that is the STI base model and the Limited version. It has a 12.0 cubic foot trunk, 19" x 8.5"aluminum-alloy wheels, 245/35R19 summer performance tires, a 60/40 split fold-down rear seatback with fold-down armrest and dual cupholders, power door locks, ultra-suede upholstery with red/black, power/heated/foldable door mirrors, a racing-inspired flat-bottom leather-wrapped steeringwheel with red stitching, cruise control, Incline Start Assist, and SUBARU STARLINK Connected Services. 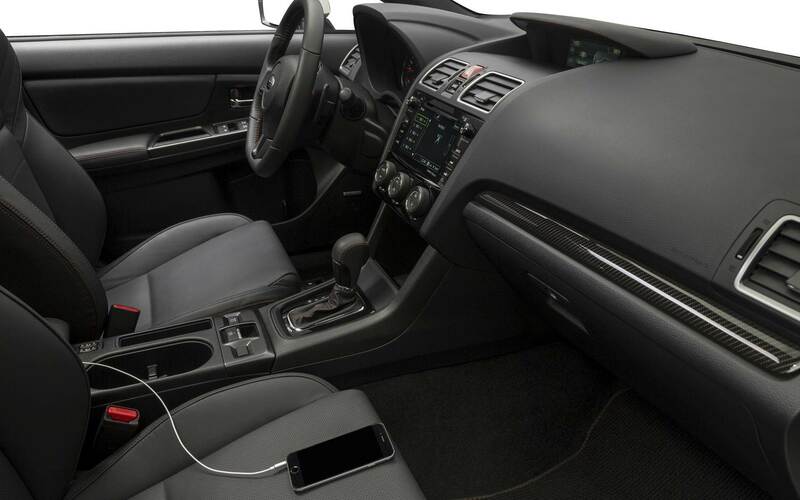 The STARLINK 7.0" Multimedia Plus system incorporates with HD Radio, 7.0" multi-touch LCD display, Siri Eyes Free, dual USB ports, and Bluetooth among other things. 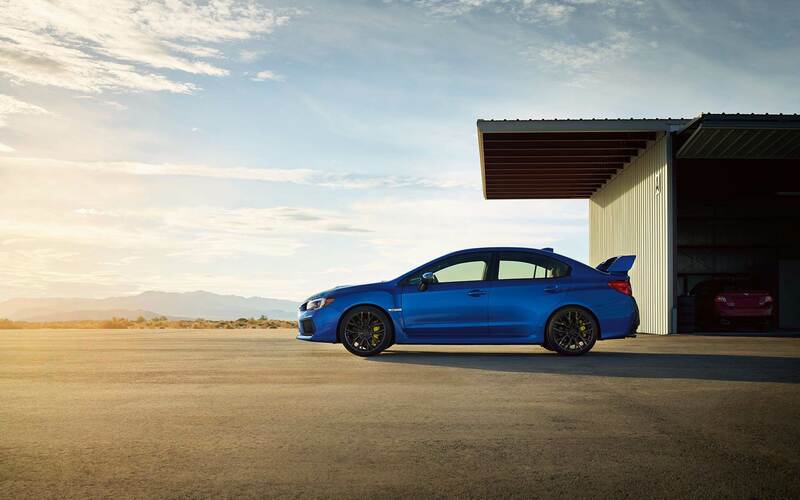 The WRX STI also sees whiplash-protection front seats (height adjustable for the driver), a rear camera, and remote keyless entry. Engine noise is reduced in the cabin with wider door glass, re-vamped door sealing and a foam-filled windshield header beam. What does the Limited model add? 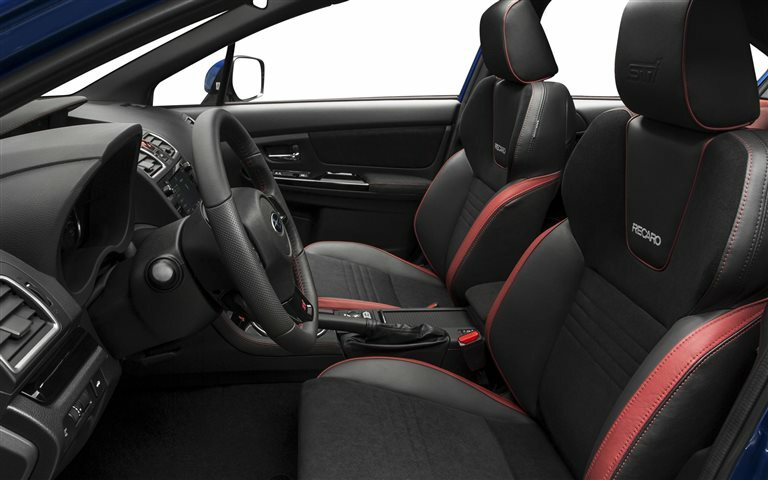 It adds Recaro Performance Design front seats with 8-way power driver's seat and driver's front seat back pocket. 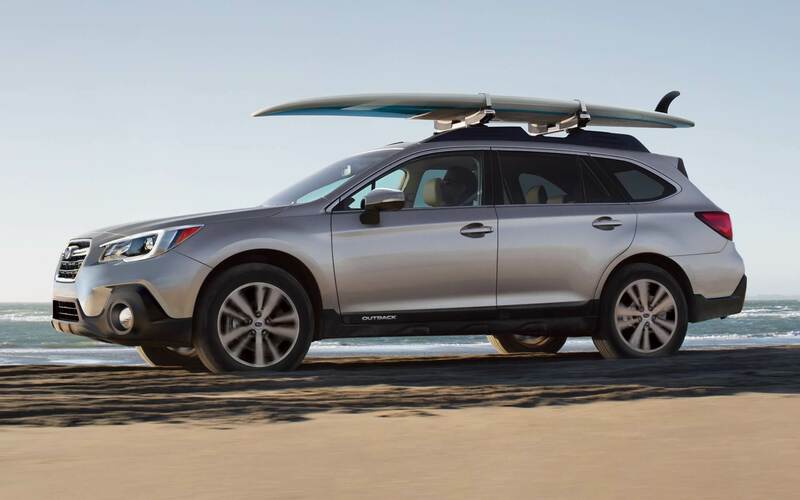 It adds Blind Spot Detection with Rear Cross Traffic Alert, a power moonroof, Keyless Access with Push-Button Start & PIN Code Access, and leather-trimmed upholstery. The STARLINK 7.0" Multimedia Navigation system with Harman Kardon 440-watt amp sound system that has 8-speakers with 1-subwoofer. What's cool for enthusiasts is the optional low-profile rear spoiler instead of the usual high-profile spoiler on all models. Let's look at the safety here for a second on this fine-driving machine. 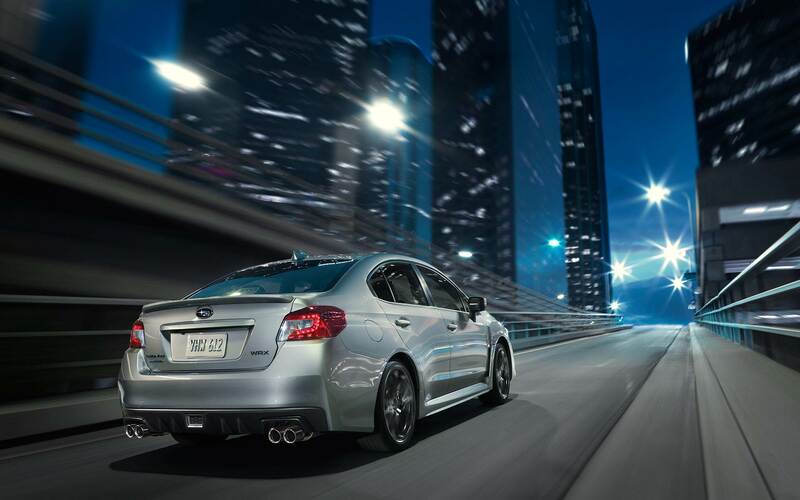 The WRX Limited, when equipped with EyeSight Driver Assist Technology now has Vehicle Hold (AVH), and a new EyeSight Assist Monitor (EAM). 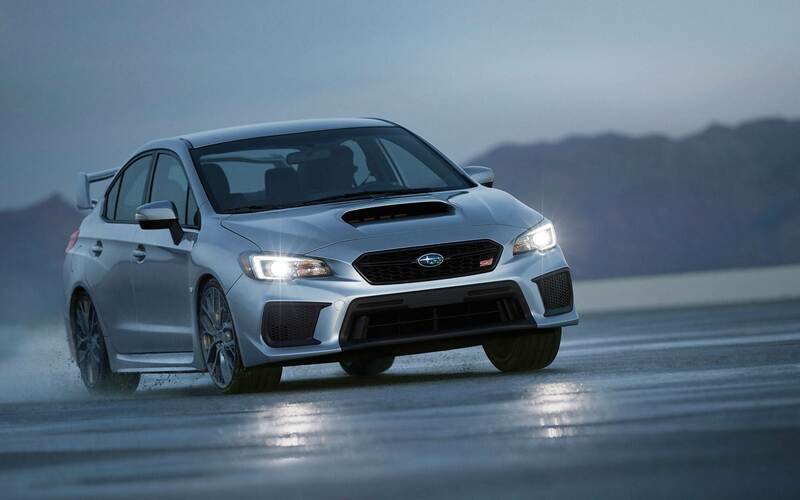 Subaru re-tooled the front structure of the WRX STI for augmented frontal collision performance. The EAM uses LED indicators to display EyeSight status and alerts on the windshield, enabling the driver to see them without taking their view off the road ahead. The AVH feature replaces the Hill Holder and Hill Start Assist functions and offers greater versatility, holding the vehicle on all road grades, not just steep grades. For instance, AVH can help minimize driver fatigue by stopping the car at traffic lights and then transitioning to picking up the speed at the best time.